Apple just pushed iOS 4.3.2 . This update contains improvements and other bug fixes including. 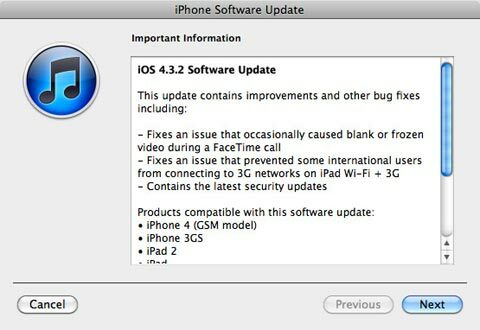 It fixes an issue that occasionally caused blank or frozen video during a FaceTime call, it fixes an issue that prvented some international users from connecting to 3G networks on iPad W-Fi + 3G and contains the latest security updates.